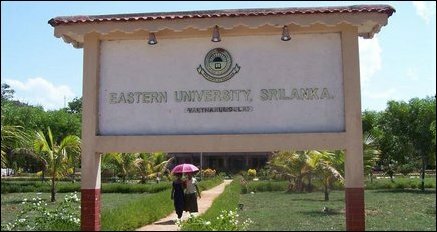 The issues at the Eastern University raises many fundamental question in the administration of a University in Sri Lanka its policy and Autonomy of the Universities. It is not far in history that the Universities had a policy of not giving hostels to students but promoting admission to the closest university to overcome such problem. It was recently that the Ministry had announced that they will give 100% accommodation to all students by 2018. These being political slogans have little reality on the ground. Nearly 30,000 students are enrolled each year to the university and on ball park figure 120,000 would be at the university system at any given moment of time assuming a 4 year course. This means on average a University should have at least 8000 students capacity at the Hostels of each university. At present none has it and none will have it for the next decade given the ground values. General principles have been to allow for first and final year accommodation at each university and additional allowed subject to the availability of space at the hostels. When students demand hostels beyond this and additional houses and accommodation are sought from private owners which range from 2000-10000 rupees per student. These have been given at some Universities including Eastern University. But large numbers find their own accommodation and pay the rent on their own sqeezing the budget of their parents. Why should only some be given the hostel outside paying for private accommodation while others pay for their own is an issue which may trigger a FR application. University would have no option but to pay all students accommodation allowance as a right if the policy is to provide ‘Accommodation to all’ which would mean on average “120,000×5000=600,000,000” six hundred million a month and 7.2 billion a year instead of accommodation. On the alternative if we only provide half then the value would be half of it, still considerable and to an university this would mean around 20 million per month. We understand Eastern University has a bill around 40 million for the existing private accommodations plus services for the a year. If the present crisis is resolved by additional accommodation it would warrant around another 50 million per year only catering to part of the students while others pay their own. Such being the reality in financial terms. The non availability of accommodation in large blocks is also an issue for the Universities to manage and smaller the house bigger the management needs trying to provide facilities. Only send students who do not require accommodation to Universities; even currently some universities do not provide accommodation for the first and second years too. Accommodation adds other responsibilities to the University from canteens, water, sanitation to electricity failure, travel etc. It is unfortunate that an average Vice Chancellor spends around 60-80% of time on Hostel related issues. This leaves no room for the planning of the development of the Universities and many indiscipline also arises from hostel based issues than others in general. For example Ragging is one that is the maximum heard in the hostel related compounds than any other and eradication is not easy given the present context. This is one example. When students violate the regulation to the point that the University administration is unable to handle e.g occupation of the Vice Chancellors office or senate or blockade of a place the University has only one option as a state institution report to the Police for assistance. The delay in action makes the university to paralyse as it has reached its maximum and cannot go beyond. In some cases the action had taken weeks for routine practice which needs to be considered. The University has no option than to close in such cases which needs to be avoided as it affects the entire student community pay for an offence of a few students. The issue becomes more complex when the first years write letters stating that they are against the zero ragging policy or state that they are operating on their own and with no interference from the seniors, options close for further actions. The usage of the anti-ragging act no 20 of 1998 may be the only useful tool and if used would lead to severe punishment by court. Though there is a feeling that this may ruin a student’s life some of the offences committed justify this as this would benefit a larger population of today and tomorrow in hundreds. Judiciary too should be considerate and also fast in providing orders for these matter as dragging causes many further issues. There needs to be defined framework designed for the Universities to follow when it goes beyond them and for the state to expedite the actions so that the University system is not damaged as it involved thousands of students struggling to begin their career ahead, the best minds of the country. We should admit that the interference from these are much limited than before where the Ministers had been involved directly in the decision making of the Universities. It is essential that general guidelines and principles are given to the Universities and the Universities are given the options to go beyond the point depending on the resources and facilities available. It is so absurd that the students have been quoting the statement made by the by the Ministry of Higher Education on 19 August 2016 at the opening of ICC Hostel, that they would be giving 100% accommodation to students by 2018 as the evidence to request the Universities for accommodation. That is their vision and they are trying to meet it as much as good governance and social harmony but needs more time. Commitments to students by these offices also makes the Universities lose face and also the opinion that they can always be overruled by the higher authority which is not the best for long term sustainable management. The autonomy of the University should be safeguarded and where necessary close door discussions with the institutions would be a better way to achieve the objectives. Eastern University faced a crisis on accommodation in January 2017 which ended by the directives from UGC and Ministry to allow accommodation for all until private accommodations are sought, which was done a month later and students only went into them two months later. Considering the larger numbers in the next season the University advised the first year students to look for accommodation outside for the second year ( and report to them) and the University would share cost of accommodation. They had also informed that those who seek accommodation with the University need to apply for such facility. However none applied. They were asked to return the keys at the end of the year and leave the hostels which too was neglected and they continued to stay in hostels illegally violating the agreement signed by them at the beginning of the year counter signed by their parents. The University reminded them in May and June. In July they were informed that disciplinary action would be taken for violations. In august out of bounds declaration was issued for those in hostel without permission. Applications for hostels were received dated 28th July 2017 in August first week, which are being processed. In the meantime students entered the Senate Building by force and occupied it from 8th August 2017. The Vice Chancellor and Deputy Vice Chancellor were confined and restrained in their offices due to this blockade sleeping across the doorway and path. Report was made to Police seeking assistance to evacuate the students from occupation of the Senate building and an order was obtained from the Magistrates court on 11th August 2017 ordering students to leave the premises. However students continued to violate the order and remained in occupation. The court having discussed this and also after providing space to a discussion between the Vice Chancellor and the Student leadership in court decided to refer this to the DIG/POLICE of the region for a report on which an order would be given in two weeks. The University had informed the courts that as all the Unions are on strike against the indecency of the students and interruption of the administration block by the students that they may not have much option than to close. The court had expressed that it would be entirely their purview and the court would have no comments on it. The Vice Chancellor met the Unions and Deans of faculties and explained the scenario and all had accepted the option of closure as inevitable. The Council that met later considered all these factors and decided that having no other option it declared closure with effect from 17 August 2017. 5000 students’ study programmes are affected and all the programs would be delayed and these are by the few for the few who do not wish to follow norms of the system for a period but topple the system in the name of students unions with no rationale. It is also noted that those who speak as the leaders of the students unions are also not the members of the current union but former members only. It is a pity. Question remains… What do we do? Who does it? When……. They are not political slogans.. They are Yahapalana Promises…….. Cash is no probs……Dr Ranil will issue more Bonds when Mr Ravi comes back………..Now Mr Rajitha promises to create a Special Supreme Court to try Jajapaksas…. Now the Yahapalana suckers have three Supreme Courts. ….. Rajitha Court and the Bedouin Court., to go along with the Supreme Court…….. How cool…….One fella said Rajitha should be the Chief Justice for both new Courts……..It will be even more cool………Blessed lot these Yahapalana suckers are……. KAS…………………Sarath Silva will be a better choice. It is not only in Sri Lanka but it is a universal problem…developed countries too have this sort of issue and only way out for this is to provide private accommodation…. UGC and it’s staff are dump heads ..they do not use their head when they allocate students for different universities.. They do not have common sense .Why do they send students from.far places to eastern universities? Why not select eastern province students to Eastern university so that most of them would not need accommodation..
Let them use their common sense to solve this issue . I think best idea is to create one more Tamil university in Tirinco so that students of Eastern province will never have this problem.. Governments cannot fund everything and there is a limit.!! In addition to providing tax payer funded education, the request now is to provide hostel accommodation free as well. Why not meals and clothing?. All this is in addition to Mahapola. Also jobs in the state sector after passing out.!! May be a duty free car permit after five years as well. Recently they were asking for subsidized housing as well. Don’t forget the non contributory pension as well. The list never ends. Imagine 1.6 million govt servants in our country!!! Over the years for political reasons politicians have converted the country into a welfare state and at some point we are going to default on the debt which is funding all these subsidies and welfare measures. Get ready to become a failed state and our politicians are driving towards that. This article is not genuine. They start with something and discuss something else. There should be a lot more behind. Besides, why Students in the Easter University are so wild ?. They will destroy residences if they were provided with. You have rightly said that sooner or later this country will go down as a failed state ?.why and how . Why …I think a huge amount of money is borrowed by last government…a lot of money is looted by some people and money is kept in some Swiss banks . This government could not get it back at all….we do not know how much and how many people have done it ? Today welfare state is possible if all rich pay their taxes ..but in Sri Lanka rich do not do that…we need a good taxing system so that anyone who earned more than 50.000 should make a compulsory taxes ..i do not say how but some amount . It should be done automatic way with the application of modern technology..taxes should deducted from each government and private professionals before their salaries are paid as western countries do ..
Take from rich and give it to poor. Government should do it now. Sri Lanka’s HR is better than any countries in Asia next to CHINA and South Korea’s.. So why can not we progress and develop our country ? 90% responsibility should go to our leaders who failed to develop this beautiful island..I love Sri Lanka and I live abroad still I love my country .. But always feel sorry for Sri Lankan people. They have been wrongly misguided and mistreated by rulers . No one should be expected to get away from it ..if you find any leaders with public fraud …punish them even it is your father or relatives. If we have such patriotism for Srilanka.we should be like this today.. The student accommodation predicament is clearly because of temporary fixes used to get out of protests and the like. This is indeed a national trend. Why not go for private investment. The investor may be exempted rates by the local council which must provide electricity, water and other essential services. GoSL may award tax holiday to the investor. The investor/student relationship may be as obtaining in typical landlord/tenant. The ragging culture for example will not be tolerated by a landlord. Why would you not correct the story where it seems wrong? What we saw in the news elsewhere does not contradict the reporting here. University is where students should learn about the universe. ..not stay in their comfort zones within the same race/ religion. Sending Sinhala students to Jaffna & Batti and Tamil students to the South will help to mould a truly Sri Lankan society. …. If this article is wrong, can you explain the real situation in EUSL? The writers article has rise many current issues challenging very Survival of Universities of Sri Lanka. Unfortunately that UNP has promised to 6% GDP will spend for Education that including higher Educations .Even it has NOT reached to 2% of budget for the Education. All in all current govt. more interest of promoting and encouraging Privates Universities in Island-wide? For them education in Paper currencies? Or Foreign currencies? In ongoing situation over 7000 to 8000 medical Students are out of studies the Universities the issued of SATIM unsettled by UNP leadership? The concern misrule committed by Ministers of Higher Education and Minister of Health? Result of that both them want private Universities without any standards of Medical Teaching and MBBS Degrees? 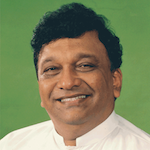 As long as they get money UNP’s —an idea of Ministers said standards are irrelevant for MBBS ? Nation level of Higher Education will declined University Standards. The research and Development of Universities level has missed more an opportunities in the recant past. No solution for any key issues address by current regime? University Education has been mess -up by rulers . When students violate the regulation to the point that the University administration is unable to handle e.g occupation of the Vice Chancellors office or senate or blockade of a place the University has only one option as a state institution report to the Police for assistance. The delay in action makes the university to paralyse as it has reached its maximum and cannot go beyond. It is easy to see why the universities are hotbeds of violence. The Ministers of Higher Education (all three of the new regime including Mr. Kiriella) have hidden behind university autonomy to look the other way when laws are broken by their appointees. The UGC Chairman also, claiming inability to do anything when universities violate the law.. However, the word autonomy s never mentioned even once in the Universities Act. It in fact empowers the UGC and expects it to intervene. Why hold students to a higher standard? i think these double standards will naturally make youthful blood boil. We are well aware of how people who lost the election got appointed through the back door. There are always those who complain about irregularities that hurt their self interest but endorse others that serve their interests, and even pounce on those who record their protest even mildly. In fairness to the UGC, its meddling in the working of the universities is minimal. It, however, does rule when referred to. That is much better than in the days when some people could get around the Chairman UGC or the Minister to manipulate universities.